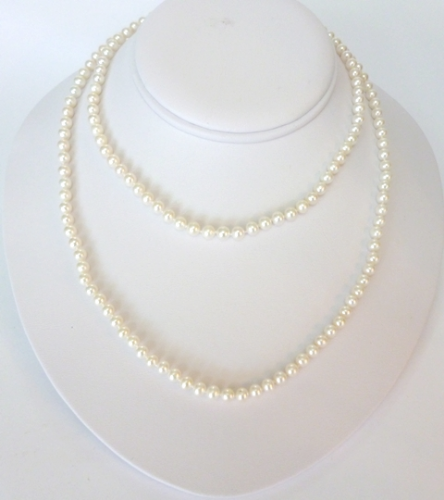 Mid-sized 8-9mm pearls at a shockingly low price - for example, 36 inches, 'Opera Length' is only £80! 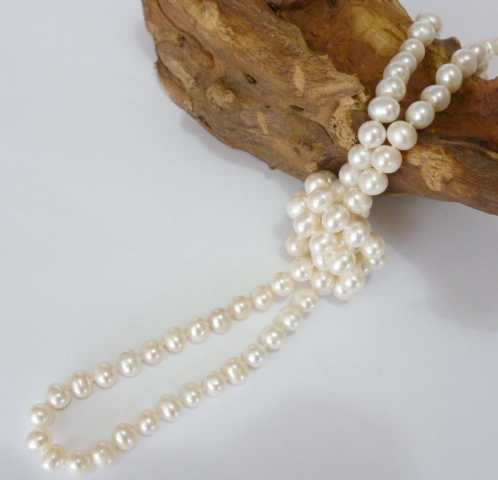 This versatile length can be worn single, double or as a choker and knot or loop. If you prefer, we can add a traditional carabiner (lobster claw) clasp, at no extra charge, for even more options. Look closely at these pearls. Each one is individually hand-knotted for comfort, security and elegance. 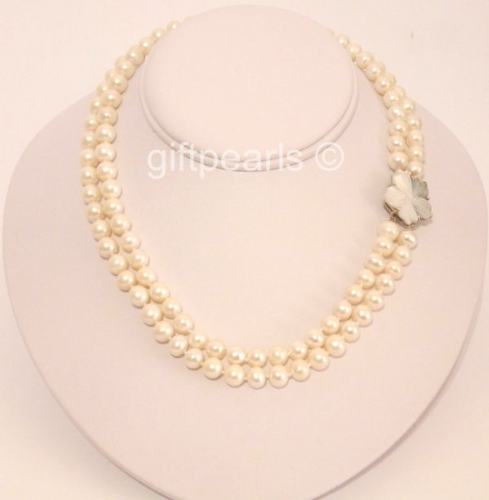 They are truly exceptional value for money and a versatile style accessory to enhance any outfit. Q. How come they are so inexpensive? 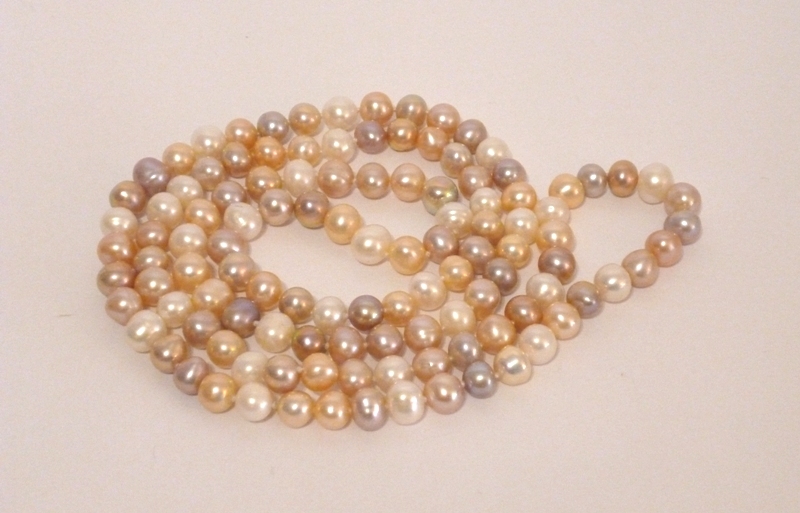 A.They are lovely pearls, with a great lustre and consistent colours. An expert will see that they are not as flawlessly spherical as more expensive grades. 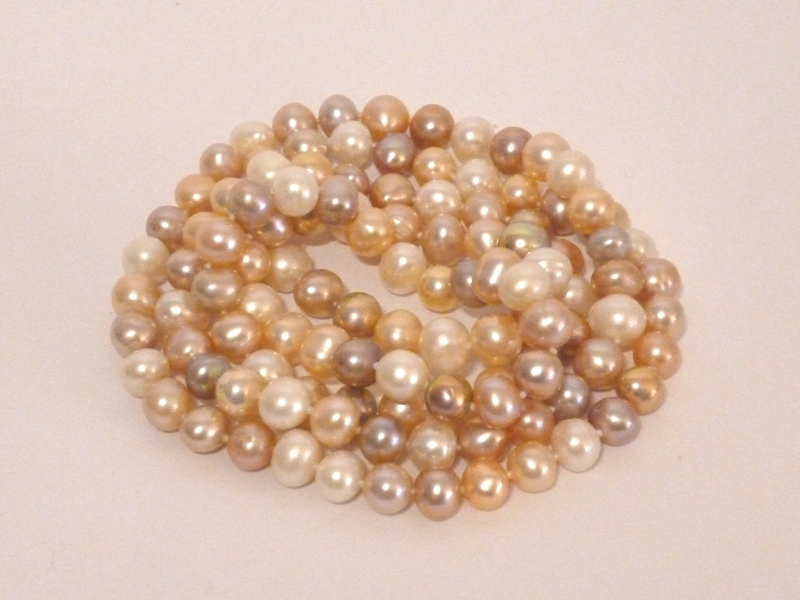 (But not the 'lumpy potato' shape of some of the pearls sold on certain TV shows.) We think you'll love them. 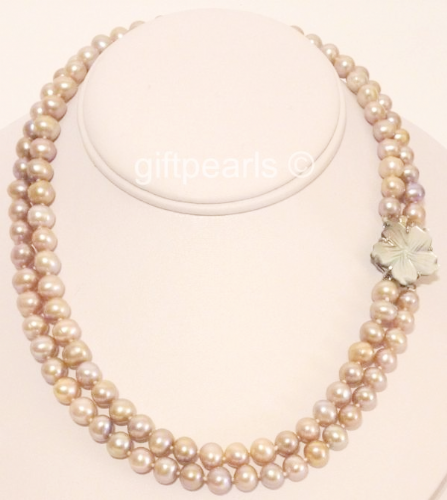 Your pearls come in a useful silky draw-string pouch or a handsome gift box at no extra charge. 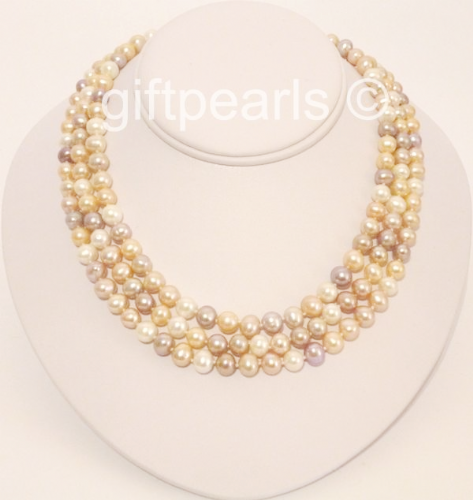 36 inch lustrous white pearl necklace. 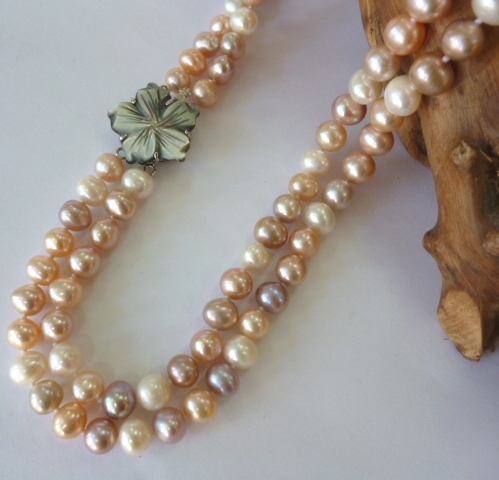 Double-stranded lavender pearls with polished sea-shell clasp. 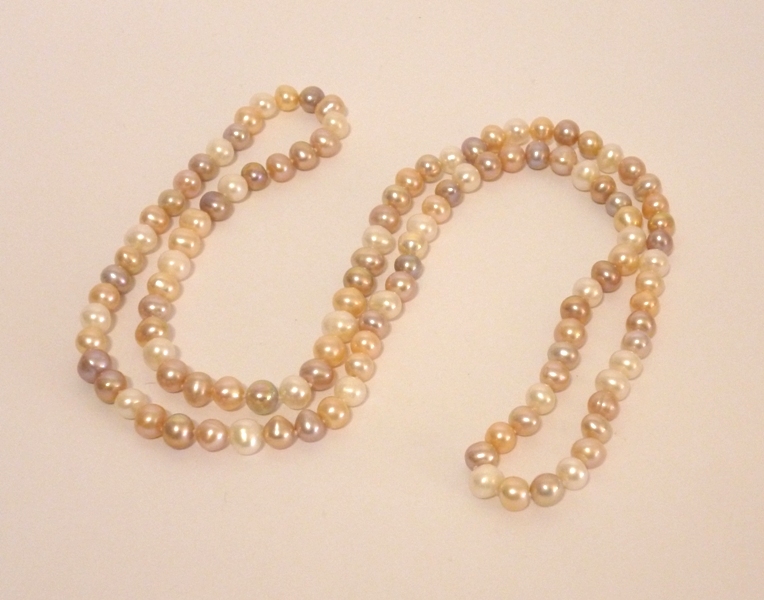 Multicolour triple stranded pearls - at an amazingly low price. 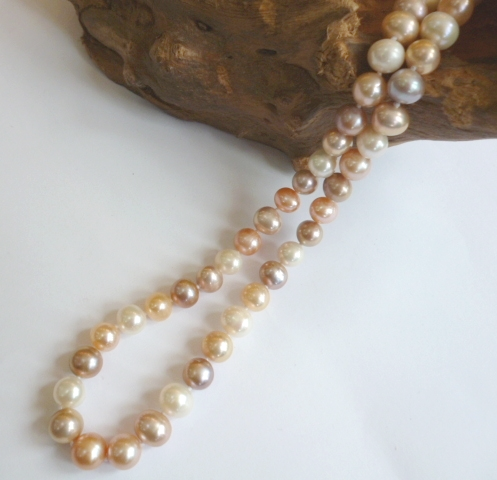 Two-Strand oval button pearls with carved shell clasp.